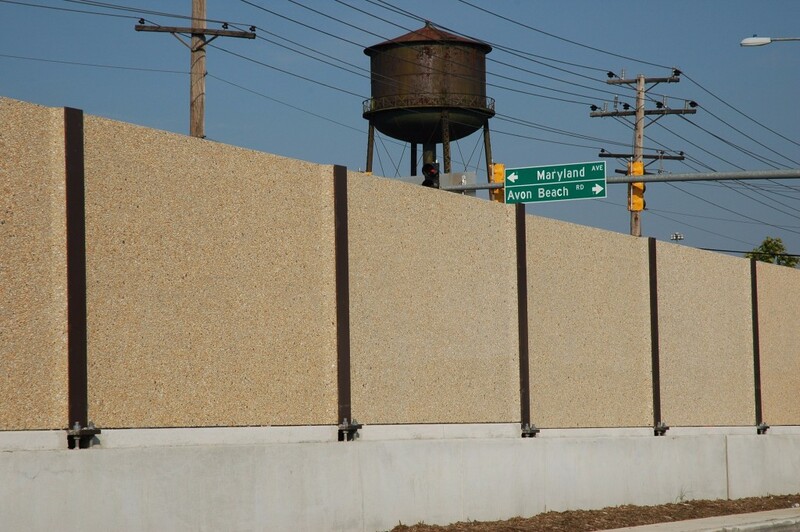 StoneWall highway noise barriers, constructed with support posts and concrete panels, can conform to the Faddis standard design as approved by Maryland State Highway Administration (SHA) or to the state standard for respective federal and state highway departments. 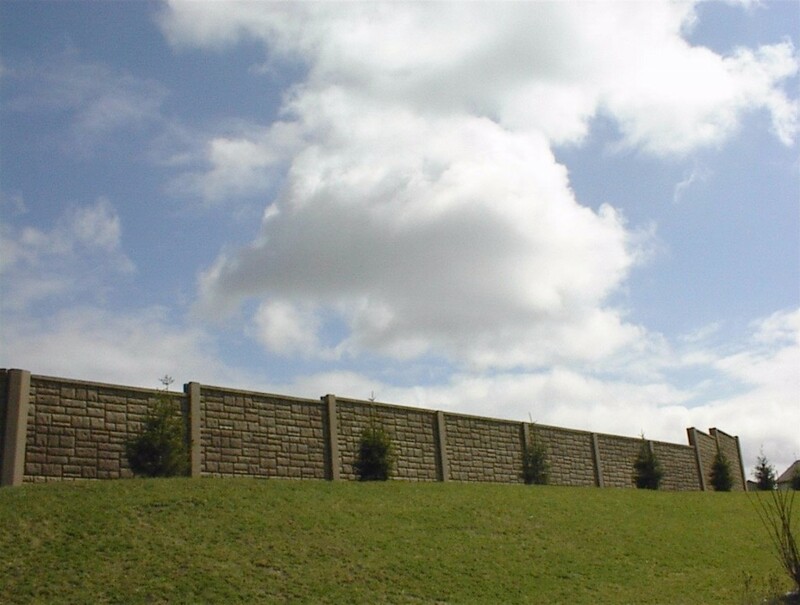 Faddis has supplied StoneWall systems in many states for both government and private clients. 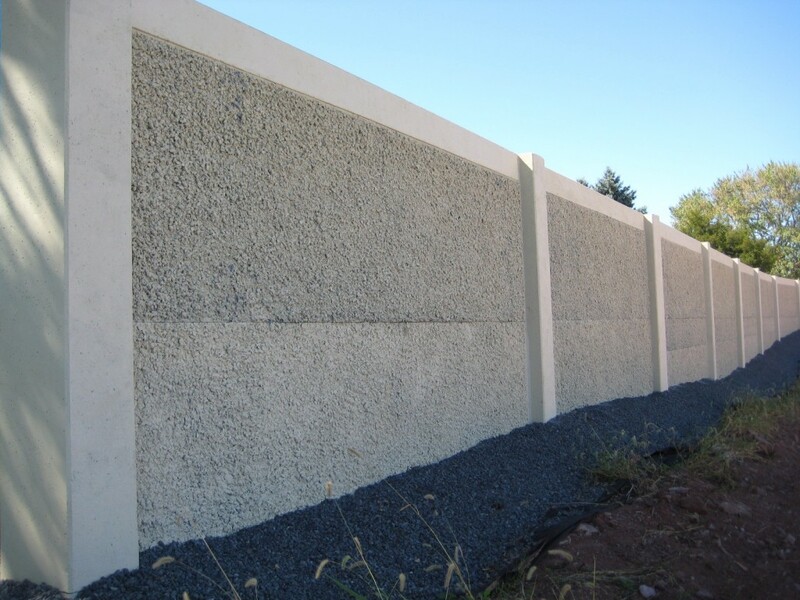 AcoustaCrete® can be cast on one or two sides of this system where specifications require sound absorption. 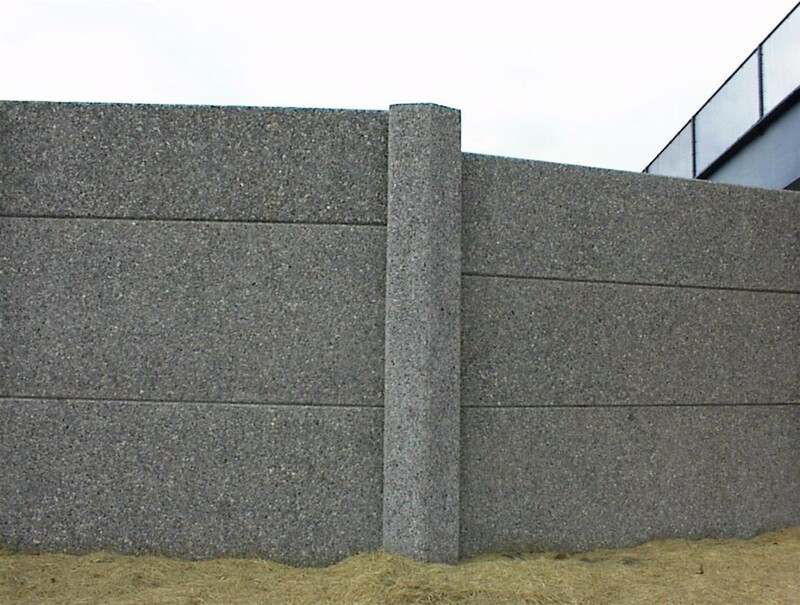 Concrete posts are standard, but steel posts can be used for vertical panel supports. 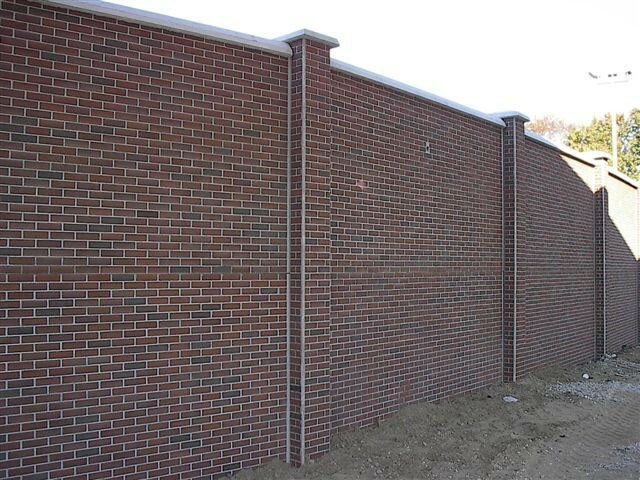 Post spacings vary from 12 to 24 feet. 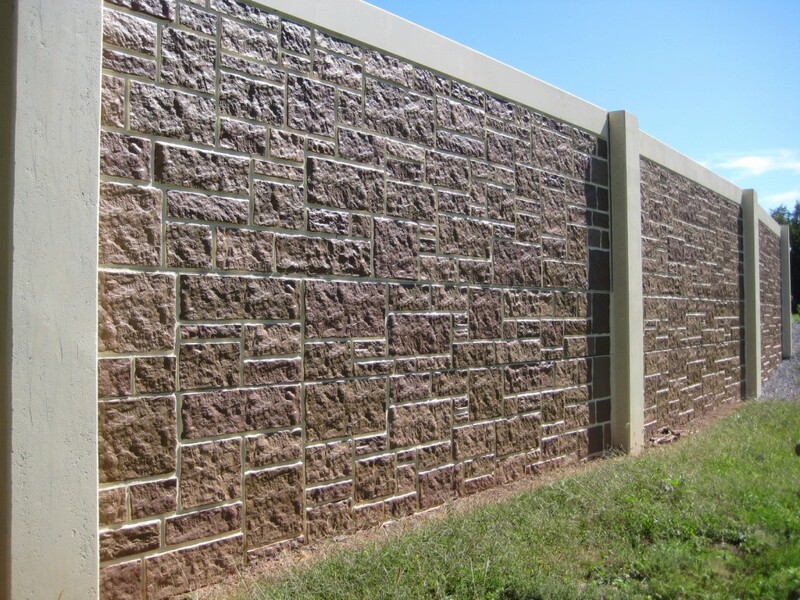 Products can be provided to meet criteria for perimeter security applications. 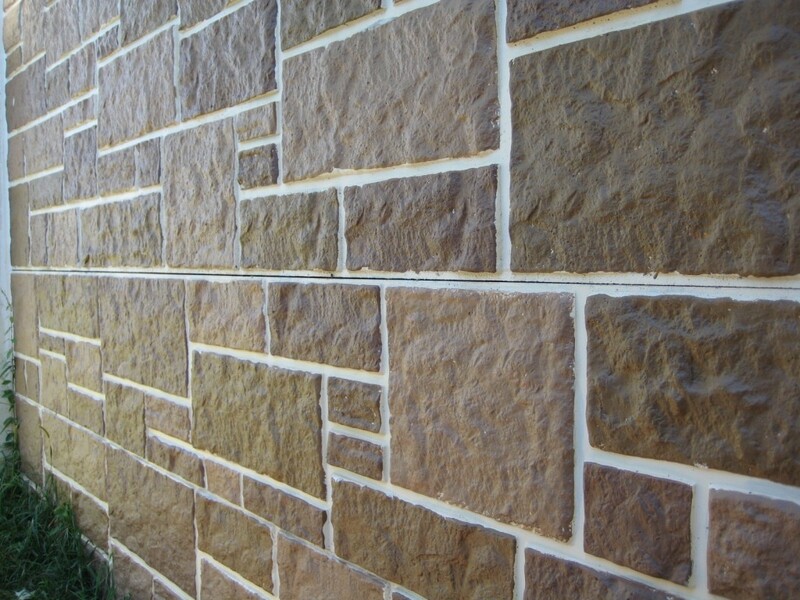 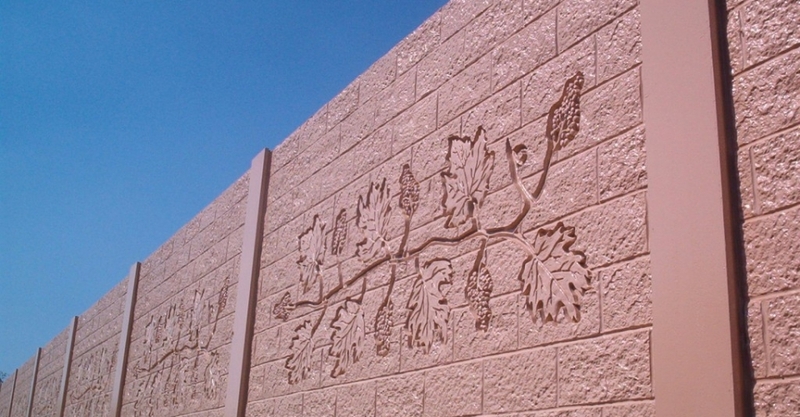 Formliner patterns in stone, brick, ribbed, or special medallions are available from elastomeric formliner suppliers. 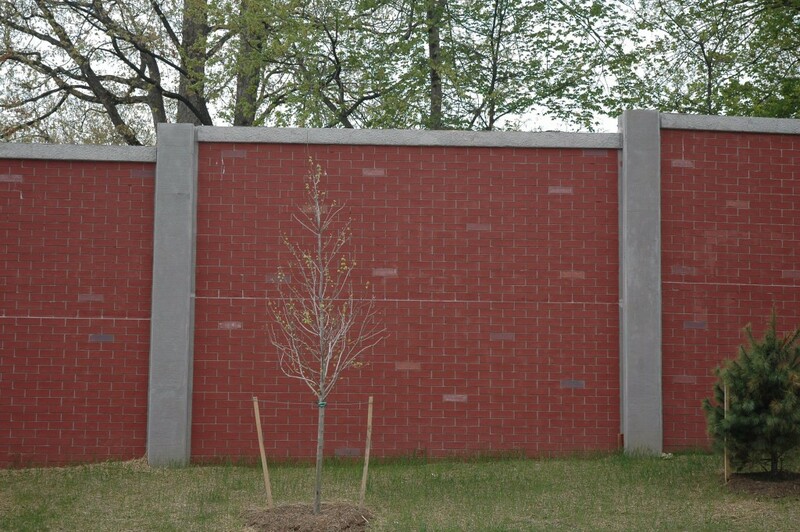 Real brick can be cast into the panel surface. 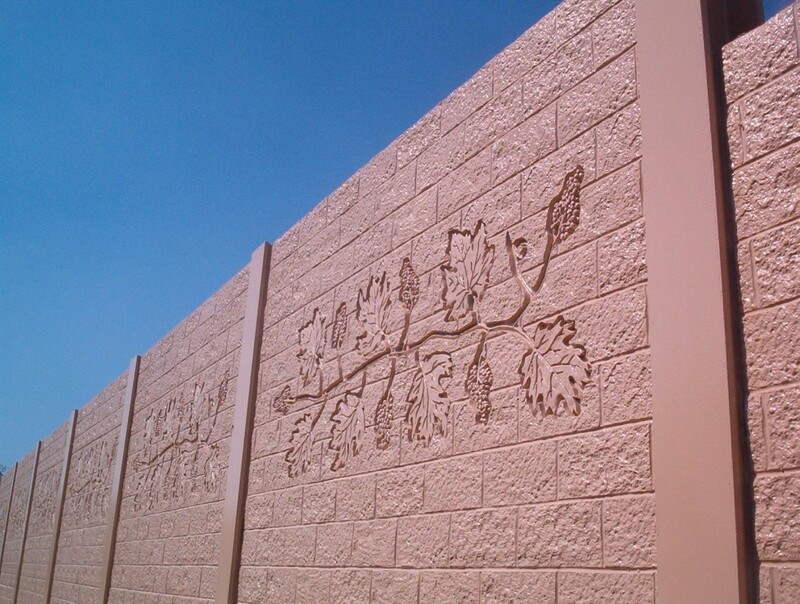 Color can be cast-applied using acrylic stains. 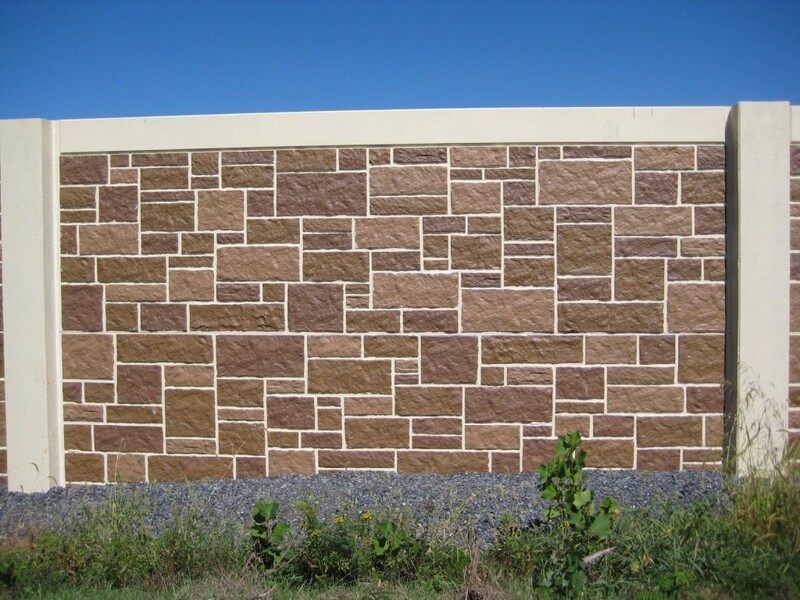 Realistic stone coloration can be applied by hand for a natural appearance. 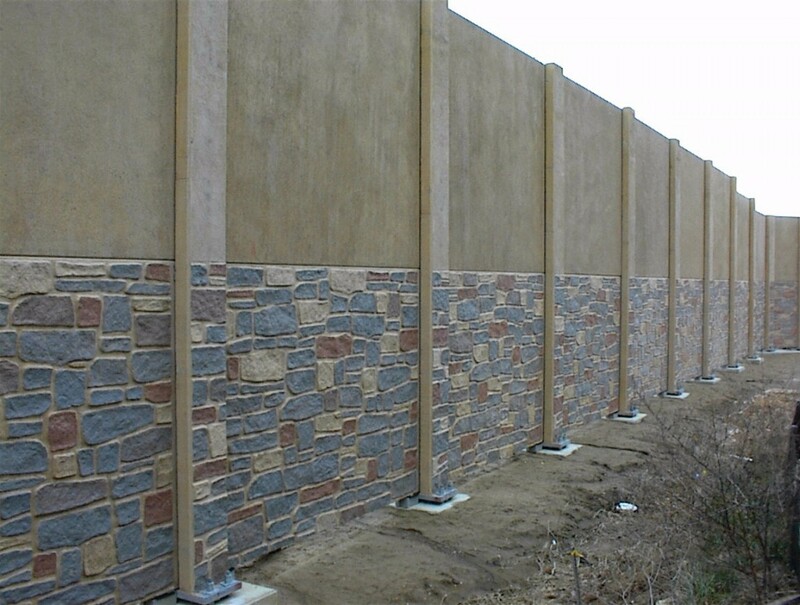 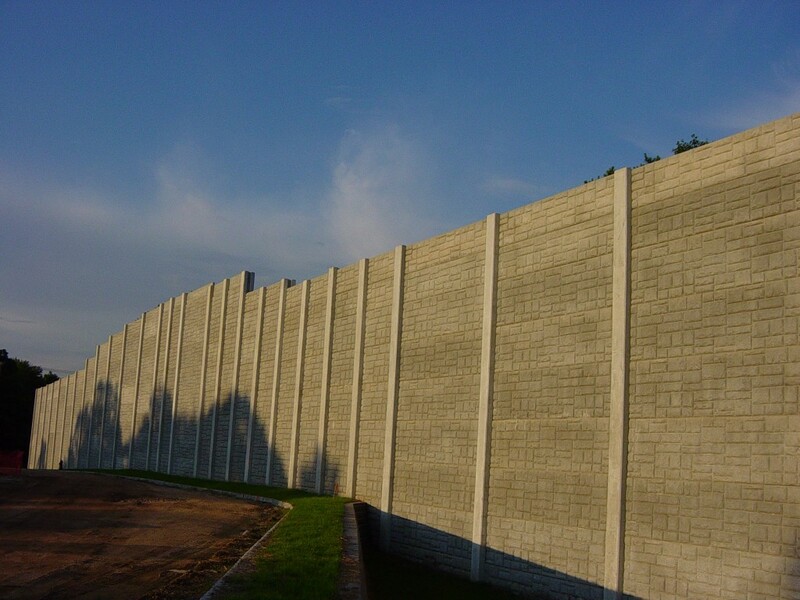 The system can be designed as a retaining wall for cut-slope applications (See Shorewall). 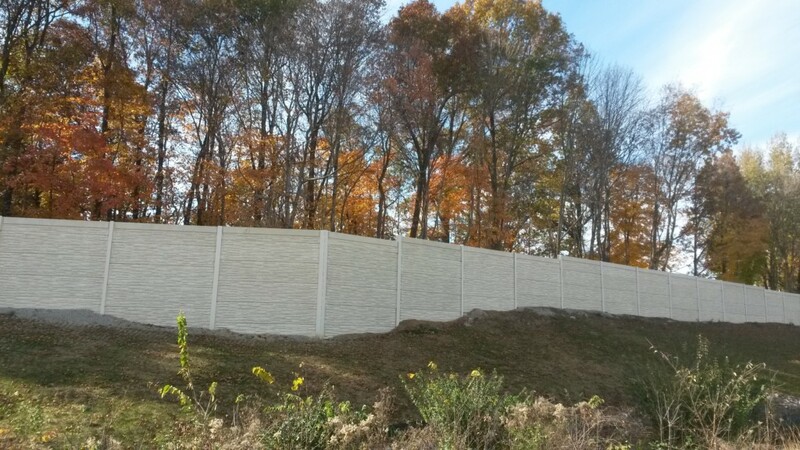 For developers or commercial applications requiring perimeter fencing, low-height designs are available with lighter components and shorter post spacings. 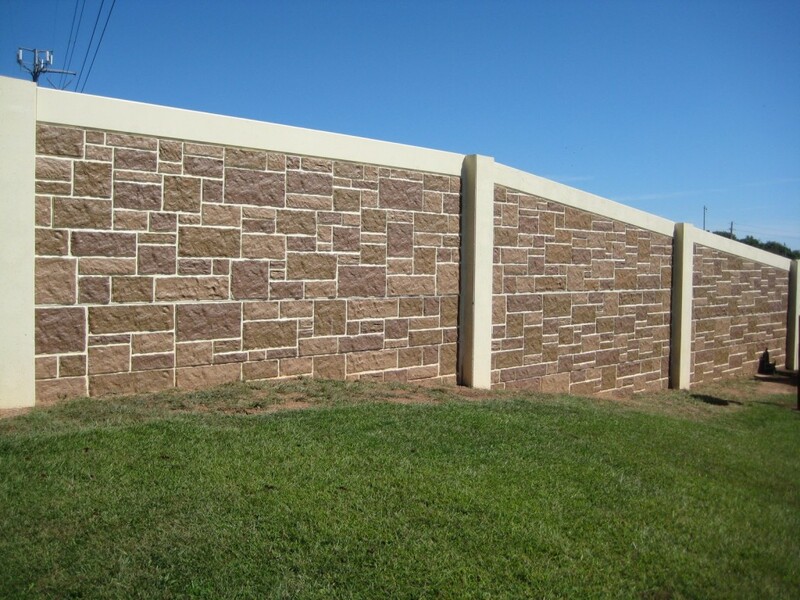 Please call to discuss available options in more detail. 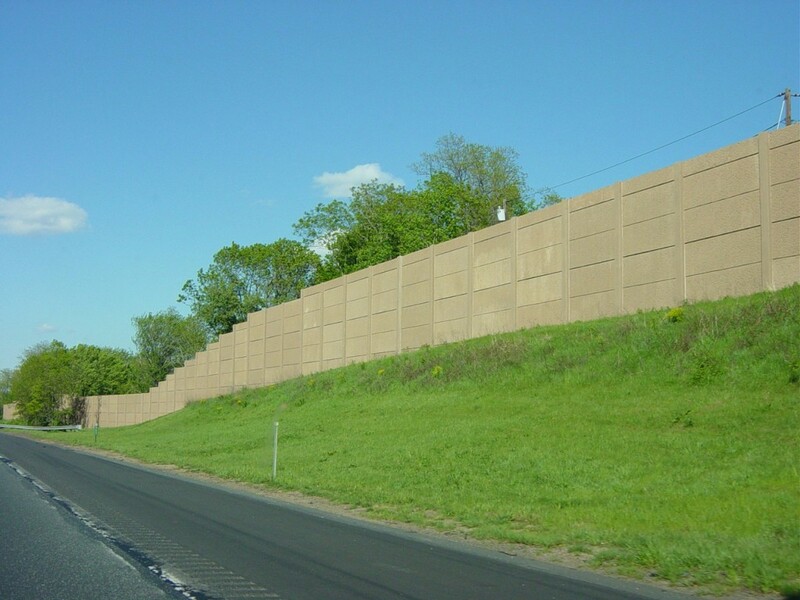 Rt422 Montgomery County PA. Sloping top panels to match ground elevations.